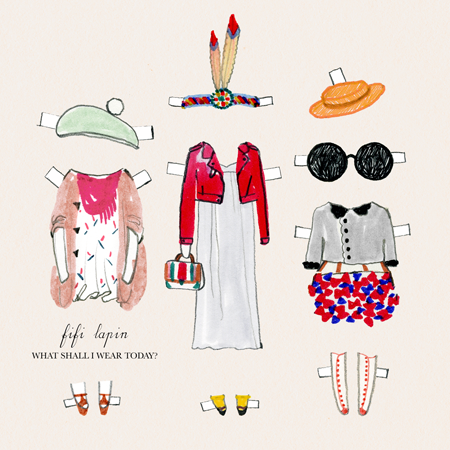 We're huge fans of Fifi Lapin, the fashionista of the rabbit world, and her cute blog, so we were excited when we learnt that she was releasing a book pondering one of life's biggest questions: What Shall I Wear Today? Fifi shows you how easy it is to look great every day of the week. 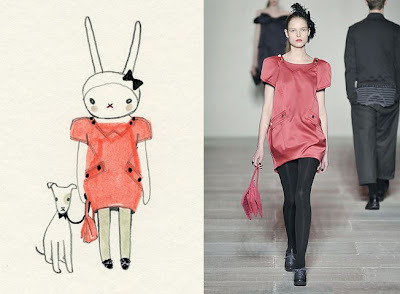 The book is filled with cute illustrations, interviews with designers and the hottest catwalk trends. If you're like us and desperate to get your hands on it, it's now on sale here. Is it weird to be slightly jealous of a rabbit? I love Fifi, she's the coolest bunny ever and now with a publishing deal to boot! Peter rabbit will be so jealous. Fifi's so adorable. She always brings a smile to my face.